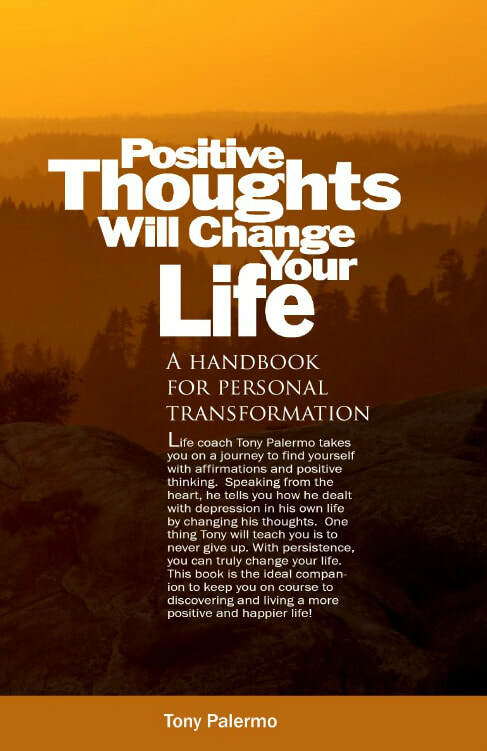 If you're looking for a practical manual that can change your thinking by bringing more happiness into your life and increasing your chances for personal success, Positive Thoughts Will Change Your Life can be of great help. I have used similar methods to the ones described by Tony in this book and met with success. Naturally, if you want positive results, it's important to follow the instructions in this handbook, be patient, persevere and have faith in these methods that have helped many. This book in particular made me realize that the answer to many question lies deep down in me... It all comes back to positive thinking and acting. Thank u Tony for making me strong and self confident. If you’re feeling depressed or unsatisfied with your life, you should definitely read this book. Tony shares his personal story and teaches us a great lesson on The Law Of Attraction—explaining how we shape our future through our thoughts, and how to attract and manifest the future we want. I picked it up one afternoon and couldn’t put it down. It’s a great, quick read that I recommend to everyone trying to change their own lives. While working with Tony at MediaNews Group, I watched him break out of his shell and grow into a person with goals that he wished to accomplish. That timid and shy young man was becoming a take charge person right in front of our eyes. After reading his first book, knowing what he had been going through first hand, I am blown away by how how he changed his life. Read his book and see for yourself how you too can fulfill your dreams and fill your life with positive changes. Positive Thoughts Will Change Your Life.